Delicate patients are generally those who are more sensitive and frail, and thus need more medical attention. They can be critically ill, injured, or have certain health conditions and physical incapabilities that prevent them from doing basic activities and from even attending to their own needs. These kinds of individuals need special care, knowing that they cannot ensure safety and well-being among themselves; and taking care of them needs thorough knowledge on how to address their medical needs at times when they need it, considering their ill condition. Frail individuals need to attend to their medical appointments (e.g. dialysis appointments, chemotherapy). In doing so, they need a convenient and safe transportation with a reliable dispatch team that can ensure their welfare when going to their appointments and back home. With a medical transportation service, they won’t miss any important appointments. Medical transportation is not an ordinary vehicle that people are comfortably used to, like family cars and taxis. Though they offer the same comfort while on the road, medical transportation contains mobile medical equipment (e.g. wheelchair, breathing equipment) and well-trained paramedics to ensure the safety of delicate patients while heading to the hospital. For major health situations like a heart attack or stroke, patients need to seek immediate medical attention. 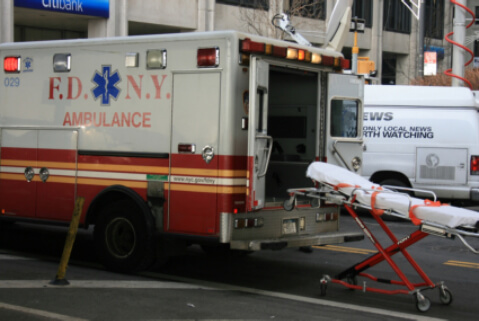 Whenever they have to be rushed to the hospital, a reliable ambulance service can drive them fast and safely. Not only can they attend to their medical appointments and hospitalization safely. The medical transportation services that Force EMS have can help delicate individuals attend reunions and family activities. They can attend important occasions despite their frail conditions. This entry was posted in Medical Transportation and tagged ambulance service, medical aids, Medical Transportation. Bookmark the permalink.